Philippe Coutinho has now moved to Barcelona after a $142 million move from Liverpool. Though is official unveiling is on Monday, the new member of the team has appeared in front of selected media wearing the Barcelona shirt. The $142 million deal makes Coutinho the second most expensive player after his friend and Fellow Brazilian, Neymar. He will be expected to do his medicals on Monday, and then be introduced to the press afterwards. He was already spotted on Camp Nou on Sunday. 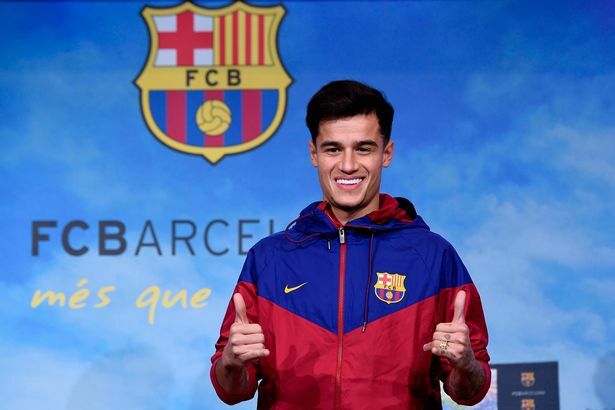 In a short video posted by Barcelona FC twitter account, Coutinho said; "Hi Barca fans," he said, "I am already here, it is a dream come true, and I hope to see you tomorrow. Visca Barca!" Liverpool is now looking for a replacement for Coutinho, and reports said that Anfield might be looking to bring in Monaco's Thomas Lemar. It is with great reluctance that we – as a team and club – prepare to say farewell to a good friend, a wonderful person and a fantastic player in Philippe Coutinho. It is no secret that Philippe has wanted this move to happen since July, when Barcelona first made their interest known. Philippe was insistent with me, the owners and even his teammates this was a move he was desperate to make happen.